This story is the second part in a four-part series about our Halfsy Hero, Melinda Soerjawitaka. Our series will follow Melinda and three other heroes as they train for the November 6th Good Life Halfsy. It’s been four months and Melinda is still running. She won’t give up, she can’t and she doesn’t want to. 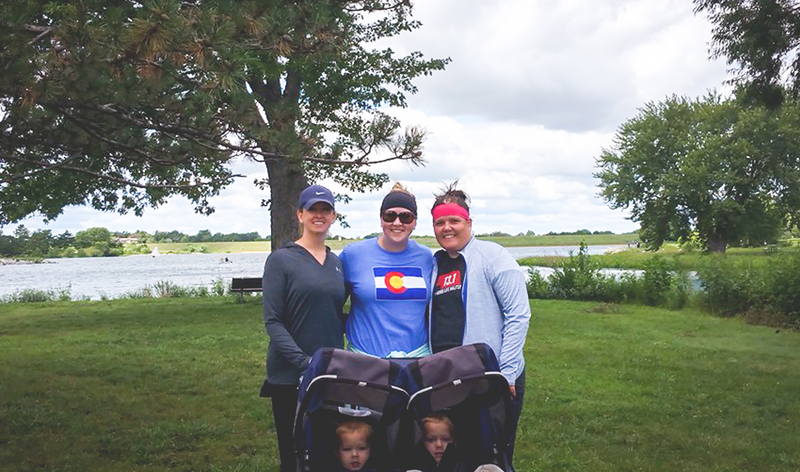 Last week she ran eight miles around Holmes Lake – eight. She said it was one of her most emotional runs because she never thought that physically or mentally she’d be able to run that far, but she did. When she runs she thinks about her friends, her health and her family…specifically her 2-year-old son, Zayln. For the past two years Melinda’s life has revolved around this sweet little boy. Zayln was born nine weeks early and spent the first 89 days of his life in three different NICUs. The doctors diagnosed him with Trisomy 18, a condition that causes severe developmental delays, when he was 14 weeks old. Melinda said only 5 out of 100 babies with the condition make it to birth, and only one of those five babies make it to their first birthday. This news sent Melinda into a panic. She was told to treasure her time with her baby because her time was limited. For the next 18 months, Melinda spent every minute of her days caring for Zayln and her three other children. Her days revolved around meals, diapers, grocery shopping and doctor visits. The stress took a toll on her body. Melinda said she felt tired and weak and the thought of adding exercise into her already chaotic day just seemed like a joke. She told a friend at work about her idea and her friend suggested signing up for the Good Life Halfsy. While it wasn’t exactly the kind of self-care Melinda had in mind, she said training has been one of the best things she’s done for herself and her family. “I’m a better mom because I take care of myself,” she said. Her kids have noticed the difference in her mood and energy level, and oftentimes one or two of her boys will ride their bikes while Melinda runs. Zayln is thriving. His cardiologist called him the “poster child” for kids with his syndrome. So now, Melinda can think about herself again. It’s better this way she said, she’s healthier than she’s even been in her adult life. And she’s getting more and more excited about November 6th.